We are a Brazilian Cultural Dance and Entertainment group based on the Gold Coast, Australia. 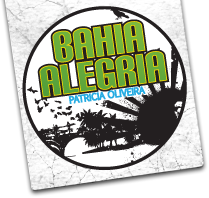 Bahia Alegria means ‘Happiness from Bahia, Brazil’ which forms the basis or all our shows. We aim to convey the fun and flair of Brazil whilst providing first grade quality entertainment by using very talented artists as well as authentic dance steps, music and costumes from Brazil. We love what we do and never fail to convey our excitement and passion for dance and entertainment! Gala balls, corporate events and functions, birthday parties, nightclub entertainment, podium dancers, festivals, restaurants, cultural days, street sales promotion, promotion at trade fairs etc, openings, community cultural events, shopping mall entertainment, Brazilian parties – We are based on the Gold Coast but can travel anywhere anytime.